I’ve just spent a few minutes trying to understand a new music genre called seapunk. I’m baffled. Then again music genre is baffling. It would seem that where we once had relative simplicity, we now have something much more vital and chaotic. So what is happening with music genre? 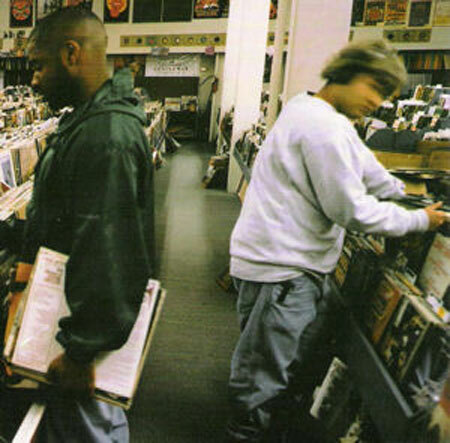 We might recall the simple pleasure of browsing in our local record store and its neat segregation into rock & pop and, if you were in a big enough megastore, classical, jazz and maybe even world music. The systems of classification in these spaces were quite simple. You could visit the chart sections, which were of course organised by the volume of sales during the previous week, or you could explore the rest of the store’s content by its alphabetical position. And then of course you would have the choice of format, vinyl, tape or CD. Informed by friends, radio and the music weeklies, we might then have layered some genre categories on top of this broader layout in order to help us to refine our tastes, these might have included such comfortable labels as indie, punk, soul, house, hip hop and the like. Easy. But things have become more complicated in music cultures, to the extent that they are almost inaccessible to the uninitiated (including, unfortunately, this author). It was only on returning to genre for a small research project that I began to see the scale of the complexity that is music genre today. We are of course all quite familiar now with stories about the changes in music consumption that have occurred over the last decade or so. Downloads, we are told, are taking over, though people still buy CDs and vinyl, the move is toward digitally compressed music files or streamed music direct from the internet. Some of this music is purchased legally or consumed through legal streaming sites but, according to the industry, it is still estimated that 95% of music downloads are illegal. What we have heard less about is what these cultural and technological changes mean for the music itself and for the way that music listeners organise and classify culture. We know quite a bit about the music industry, copyright and the financial impact of downloading. A lot less attention has been given to the music cultures themselves, how they are organised and the meaning attached to this new widely available cacophony of sounds. One thing is very clear, it takes a good deal of commitment to keep up with the changes that are taking place, and even more commitment to have any sense of the broader movements that are happening in music. What is defining the change in music cultures in not just eclecticism, but the actual fragmentation of music cultures themselves. It is not just that people like a variety of types of music but that this variety of music available has proliferated to unprecedented levels. Indeed, it has been widely argued in subcultural and post-subcultural work that music cultures are becoming more fragmented and less coherent. This would certainly seem to be the case were we to spend some time trying to get to grips with what is going on in contemporary music. Fragmentation would certainly be the motif. We might speculate that decentralised media, such as those typical of social media, lead to decentralised cultures. Without focal points like Top of the Pops and the like, music cultures have no anchors. We might still have charts, but these are now less relevant in youth cultures, particularly when they can turn to iTunes or any of the growing aggregators out there in order to see real-time charts of music downloads as they happen, or real-time accounts of what people are saying in blogs and so on. So, on one side music cultures are fragmenting and on the other they appear to be speeding up. Music cultures are not tied into the types of structures that dominated the last 50 years or so, instead they are much more mobile, esoteric and ephemeral. They move quickly and in lots of directions. Sometimes these directions are nostalgic and cyclical, other times they are about musical hybrids and in other instances they simply splinter out into new territories, with new combinations of influences, inspired by viral social connections, neologisms and emergent discourses. We might wonder how we might understand such a set of developments in music cultures, particularly those of us who have an interest in music or who would like to keep-up. The answer is likely to be that the only route is specialisation. We can’t hope to be able to see across all of these small-scale and interlinked developments in music genres. Even those on the inside are unlikely to be able to do this. It would seem that to be interested in music now is often about taking an eclectic approach whilst at the same time it is to choose to specialise in consuming certain patterns of musical association. That is to say that amongst the apparent chaos they appear to enjoy certain combinations of genres rather than unconstrained cultural gluttony. 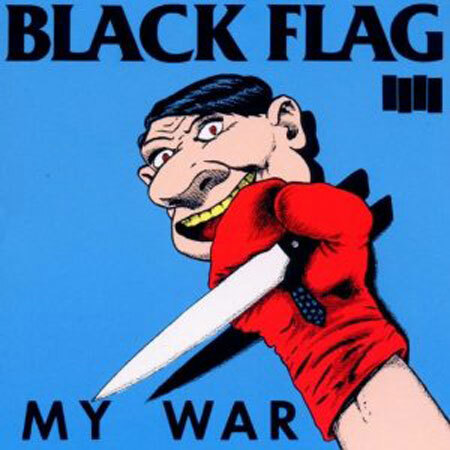 Cover of My War (1984), the second album from harcore punk band Black Flag. The album was an early antecedent of sludge metal, grunge and mathcore (math metal). Now that music genres have been unhitched from the centralised broadcast media, and now genre labels are not ordered through TV, weeklies and radio, the possibilities have suddenly opened for music to be ordered in new ways. One of the key changes here is that music cultures are now largely self-organising. Genre labels might still be dreamed up and created by industry insiders, journalists and artists, but they are more often the product of interaction through social media. The tagging processes that are used to classify music are now performed and attached by those with an interest in consuming the music. This has opened up the potential for music genres to proliferate, expand and develop, for sub genres and even sub-sub-sub genres to spiral, and on other occasions for genres judged irrelevant to wither into uncoolness. To take just one popular meta-genre, metal, we find the massive variety of sub-genres associated with this one genre alone are quite unfathomable, the suggestively labelled ‘math metal’ is indicative of this fragmentation within genres. The result of this new type of musical categorisation is that music cultures become self-organising things. This self-organising system is open to rapid change, to increasingly granular and microscopic genres and genres within genres, and to the fragmenting of musical categories around small differences. To understand music we need to focus a little more on how these cultures are organising themselves. This is an impressive and revealing set of practices that tell us much about how people identify with music, how they differentiate their music and themselves from other people and how music can be understood as it becomes a part of people’s lives. Here we have something close to collective action as real-time social media enable responsive classifications of everyday culture. I’ve focused upon music here, but this is now touching lots of cultural spheres. Viewed from the point of view of music genre we are likely to feel quite disorientated, yet attempting to understand the new genre formations as decentralised classificatory systems is really instructive and revealing. Either way, it is hard to conclude anything except that music genre has become something much more complex and varied, the catalyst for this was the increasing involvement of the listeners in the categorisation of the music that they like. Perhaps then this tells us something about how people enjoy music and how they use genre categories to differentiate their tastes and to mark out a sense of individualised identity. Writing at sometime around 1930 or 1931, Walter Benjamin suggested that the voice on the radio is a like a visitor in the home, as such it is “assessed just as quickly and sharply” as any other houseguest.